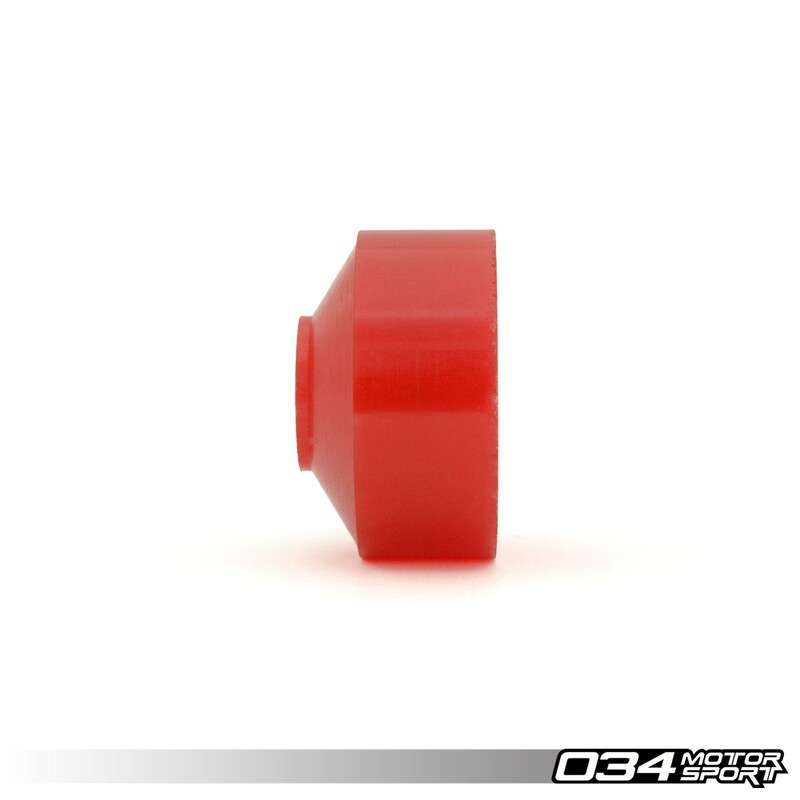 This performance polyurethane snub mount fits most Audi vehicles manufactured through 2001, and is designed to increase stabilization of the motor under acceleration. 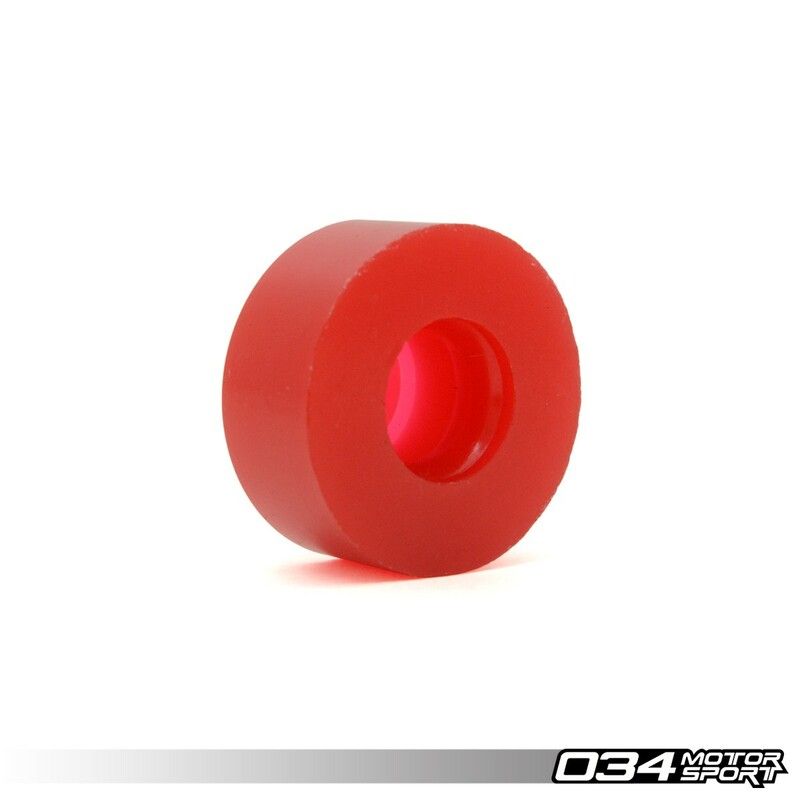 Our polyurethane snub mount is a direct replacement for the stock snub mount, and offers much longer life and drastically improved performance by reducing unwanted engine movement. 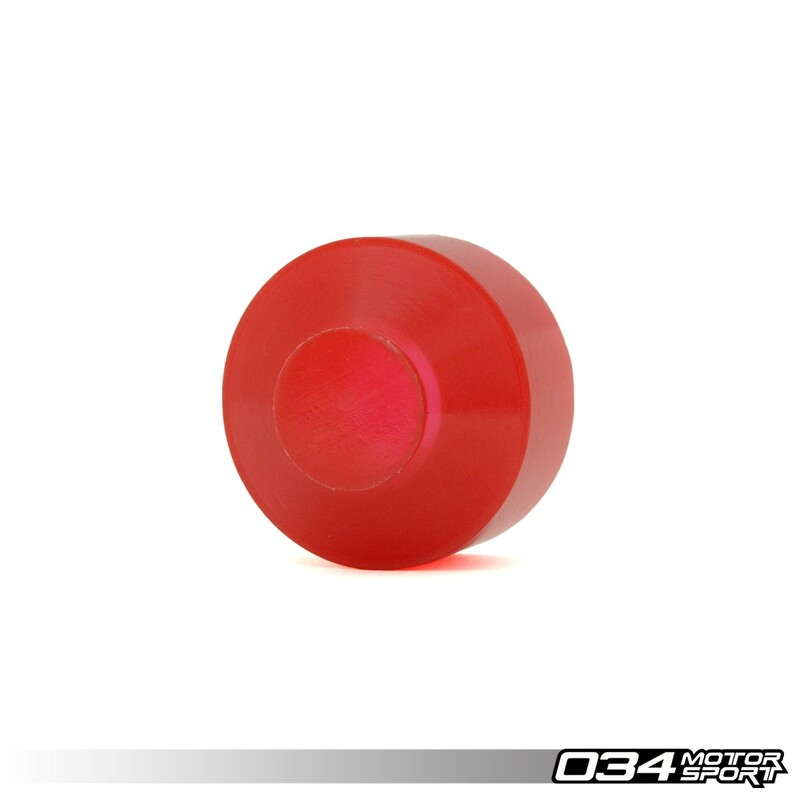 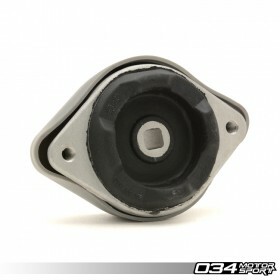 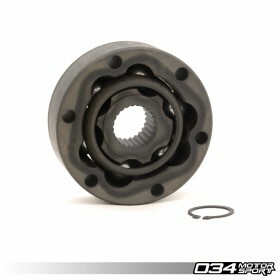 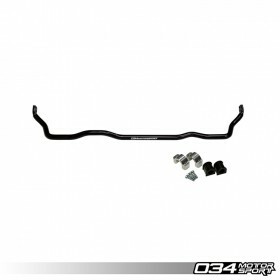 Manufactured from 65 Durometer Polyurethane, the 034Motorsport Early Audi Snub Mount is a direct replacement for the stock snub mount and offers much longer life with drastically improved performance by reducing unwanted engine movement. 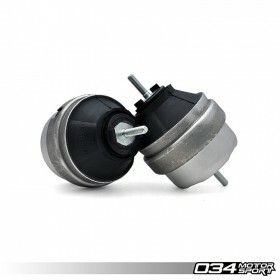 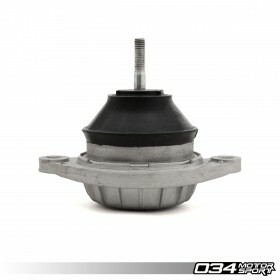 Does not fit C5 S6/RS6, C5 A6 4.2L, V8 Quattro, and A8 models. 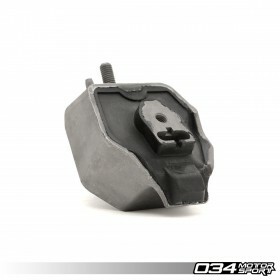 Note: When installing this polyurethane mount in a 034Motorsport Snub Bracket, some light trimming of the outside of the mount is required to make it a perfect fit, this can easily be accomplished with a utility knife.